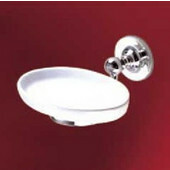 Carlton Collection Bathroom Accessories from Empire feature a simple design with a flat base and round accents. 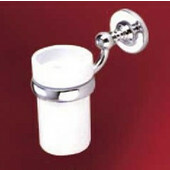 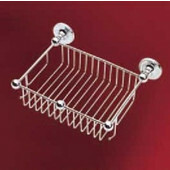 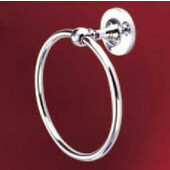 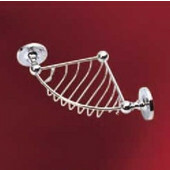 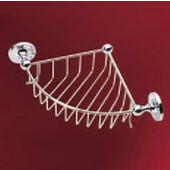 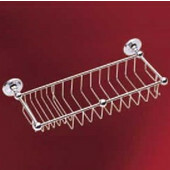 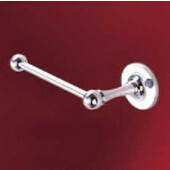 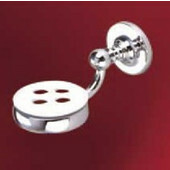 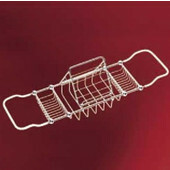 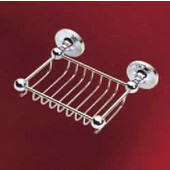 A variety of bath accessories are available for bathrooms of any style, including single robe hooks, double robe hooks, triple robe hooks, towel rings, single towel bars, double towel bars, glass shelves, toothbrush holders, tumblers and holders, soap dishes, toilet paper holders, towel shelves, wire baskets, corner baskets, double level baskets and tub baskets. 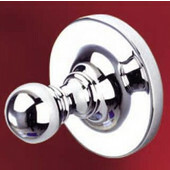 The bath accessories are made of solid brass and are available in Polished Chrome and Satin Nickel finishes to complement any bathroom design. 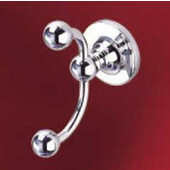 These wall-mounted bathroom accessories come complete with mounting hardware and ship via UPS.